You've got that song stuck in your head, don't you?! I do. And it's just one of the reasons that The Big Bang Theory Season 9 Episode 4 is my favorite of this season so far. It's just so darn fun! I love getting to see Howard and Raj do something totally silly and ridiculous that's also perfect for their characters. 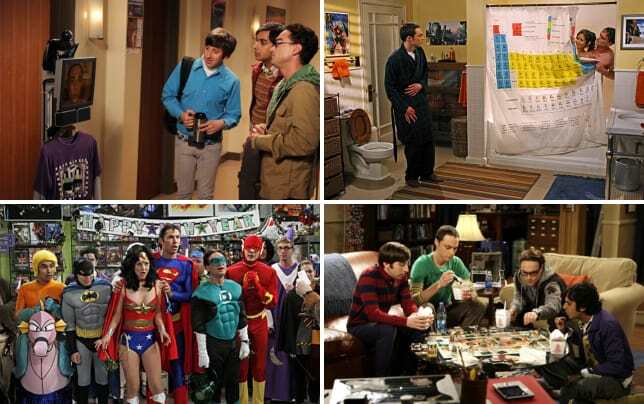 More than that, I always love it when we focus on the relationship between Sheldon and Leonard. Because really, that's the relationship this show is about. Yes, it's always been Leonard's crush on the girl across the hall, but Leonard and Sheldon are at the center of the story. It's their dynamic that we care about the most. Of course, Sheldon makes Leonard sign a bunch of forms to terminate the roommate agreement. Leonard even gets a little bit emotional about it (just for a second). Once Leonard is out for good, Sheldon starts interviewing roommates, none of which are good enough. It's then when he realizes that he has emotional needs he didn't have several years ago. I was like the Tin Man, perfectly content until that evil wizard went and gave him a heart. Permalink: I was like the Tin Man, perfectly content until that evil wizard went and gave him a heart. Sheldon has changed. We didn't see what life was like before Leonard, but did get a chance to see what it was like before Amy and even Penny. Yes, Sheldon is unbearable at times. Most times, even. What I appreciate most about what happens when Leonard moves out is that we see Sheldon's vulnerability again. The break-up with Amy left him villainized in a way, as we watched him try to get her back in terrible ways that only show why she wanted a break in the first place. So now, we get to be reminded of the fact that Sheldon has actually already come a long way. That's because of Leonard, Amy, and in my opinion, in largest part due to Penny. Sheldon feels abandoned and tries coping by pretending it's 2003 again – a time when he hadn't yet met any of the friends who have helped him grow and change. As Leonard points out, it's also a pretty brilliant plan to get attention, but it's one that works. We're not fully ready for Leonard to move out, anyway. What did you think of "The 2003 Approximation"? Share your thoughts in the comments below!